There was a time when I would watch those cooking competitions on Food Network and criticize anyone who used bacon in a recipe. “Well, yeah it’s going to be good now!” I would shout at the tv. I could have done that. Try making something awesome without bacon. That’s talent! I also feel this way about feta. Just makes everything so delicious. Well if they can do it on “Chopped,” little ole me can do it here. And so can you! 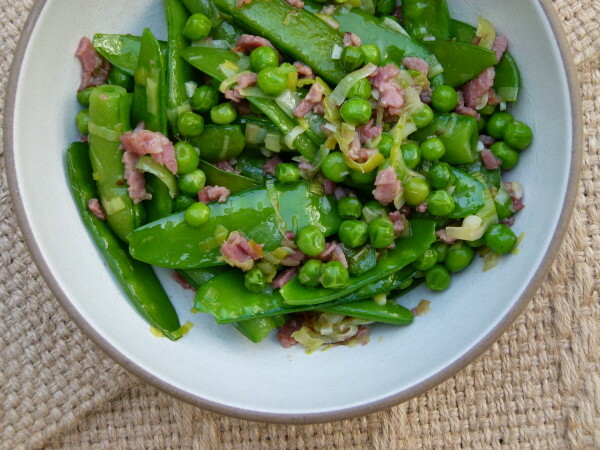 We’re going to take simple peas, like the kind you have in your freezer that no one gets all that excited about, and we’re going to liven them up with some turkey bacon, or regular bacon if you eat pork. And everyone will fall in love with peas again. And this is a good thing because peas are actually quite nutritious and many people always have them on hand. Peas contain a healthy dose of protein (about 9 grams/cup). I love peas mixed with rice for a complete protein. Yum! Peas are also loaded with Vitamin C, Vitamin K and manganese! And they’re a good source of iron, folate, vitamin B1, phosphorous, magnesium, potassium and fiber. The only thing I did read about peas that is not great is that they contain an anti-fertility compound, m-xylohydroquinone, so it might be a good avoid to avoid them if you’re trying to get pregnant. For now, we’re going to stick with either fresh peas (unfortunately, kind of a pain in the neck to shell them and only sweet if they’re super fresh) or frozen ones. I think there is an undeserved stigma attached to frozen vegetables, but there shouldn’t be. Fortunately, freezing vegetables (and fruits) does not destroy their vitamins and minerals. Maybe 10-15% of vitamin content is damaged, and Vitamin C is the biggest loser there. But pretty much every fruit and vegetable has a good amount of Vitamin C so you’ll make up for it. Canned vegetables, on the other hand, are a sad, depressing lot which always seems overcooked, in my opinion. Beyond that, you’re also getting BPA with your veggies because of the can liners and BPA leaches. Not cool. My entire family loves this incredibly simple side dish. And it’s perfect for a busy family because you can make it in less than 10 minutes. In the winter, I make it with all green peas. 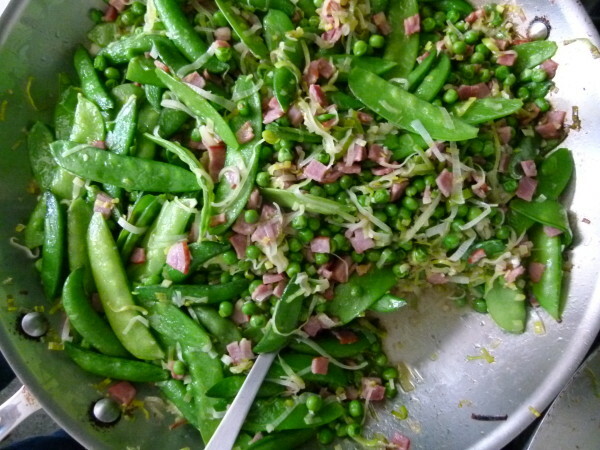 But in the spring, I love using a mix of green peas, sugar snap peas (my favorites), and snow peas. 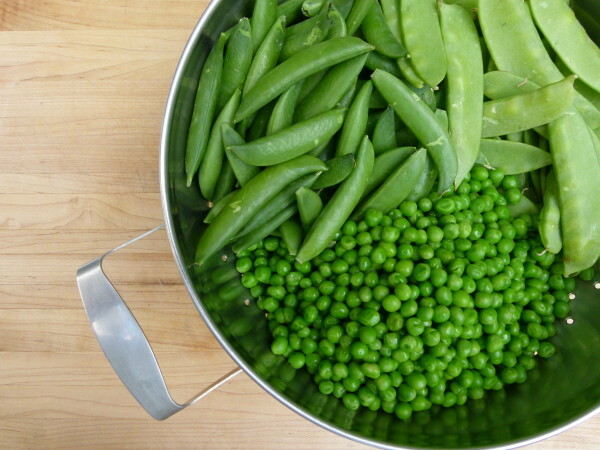 Green peas have the most protein and are eaten shelled. 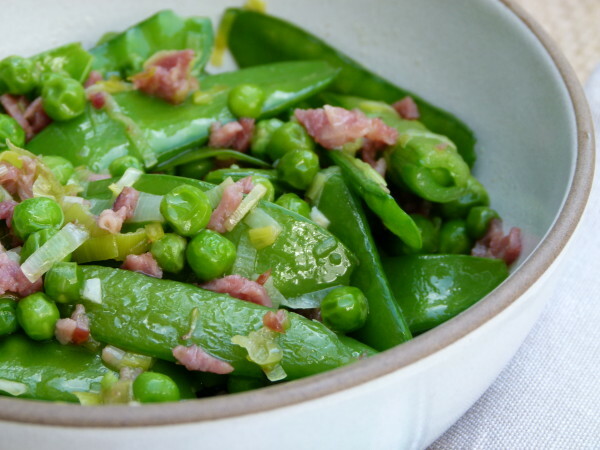 Sugar Snap Peas, which are plump and crisp, are a cross between regular peas and Snow Peas which are flat. Both these types of peas are sweeter than garden peas, but a little less nutrient-dense. 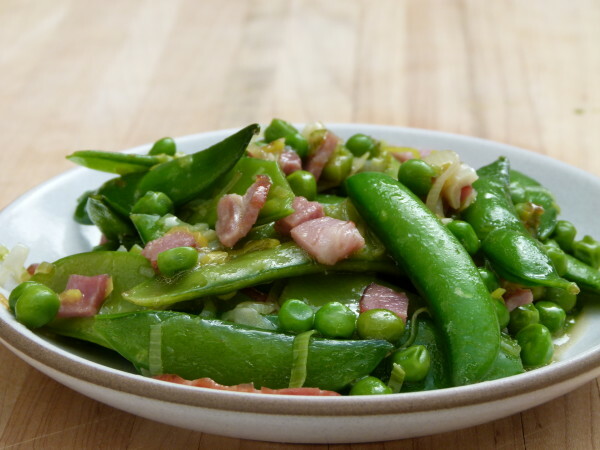 Sugar Snaps and Snow Peas are both not shelled — you eat the whole thing. I love to mix them together because I love all the different textures most of all, but believe me when I say it’s delicious with one type of pea if that’s what you’ve got. For you veg heads, I’ve got you covered. Omit the turkey bacon and season with smoked salt or a pinch of smoked paprika and sea salt. Serve with poultry, lamb or fish, roasted vegetables or sautéed greens, or cauliflower mashed potatoes. If you have ham leftover on Easter, dice it up and use that instead of the bacon. Remember, St. Patrick’s day is coming up and your family will not be weirded out if you make an entirely green meal! Peas anyone?? Heat the oil in a large skillet over medium heat. 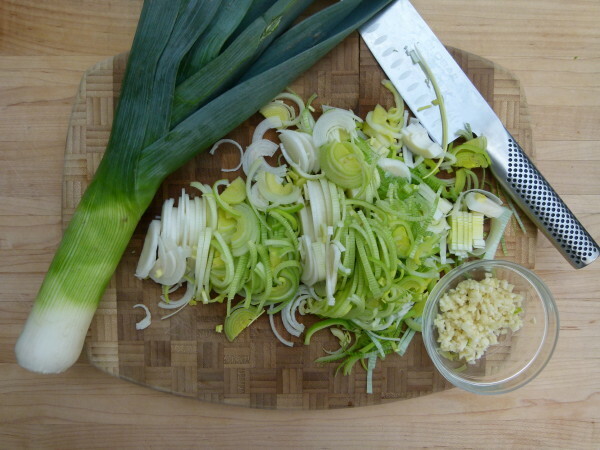 Add the onion/leek and garlic and sauté for 3 minutes or until translucent. Stir in the turkey bacon and sauté for an additional 3 minutes, or until some of the edges of the bacon become a little golden. Add the peas, stock and salt and pepper and cook for about 3 minutes or until the peas are crisp tender and most of the stock is evaporated. *You can also use ½ cup of diced pancetta or a high quality pork bacon if you prefer. Is this as yummy without the meat? I want to make this for dinner for my in laws, but they keep kosher, and so far, I have not been successful in locating kosher turkey bacon. Thanks!